With the support of a mass Vokkaliga leader, the BJP is also hoping to make its presence felt better in districts of South Karnataka, where JD(S) and Congress have been conventional rivals. 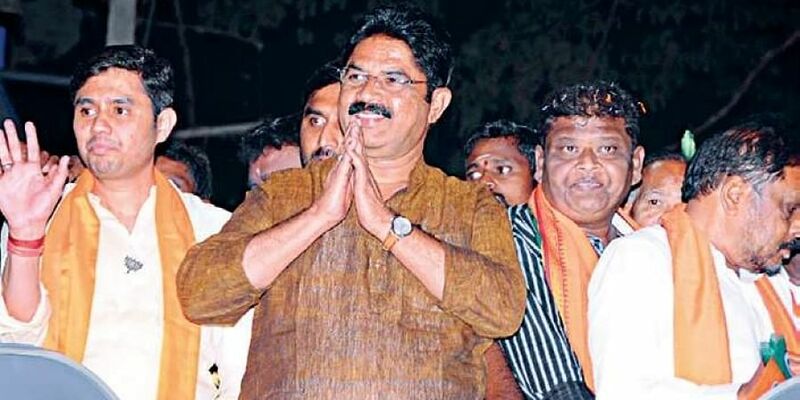 BENGALURU: BJP’s Vokkaliga strongman R Ashoka is keen on mobilising his community with a series of roadshows under the name ‘Vijaya Sankalp Yatra’. While the target is to gather votes for Lok Sabha polls, his plans exceed much beyond May 23. Keen on establishing himself as a formidable force capable of galvanising a community to rally behind the saffron party, Ashok is looking to strengthen his wager to succeed B S Yeddyurappa as the state BJP president. Vijaya Sankalp Yatra — a series of roadshows by Ashoka — aims to strengthen the BJP’s roots in Vokkaliga bastions of South Karnataka. “We will hold roadshows under my leadership in Bengaluru, Chikballapur, Kolar, Tumkur, Bangalore Rural, Kanakpura, Mandya, Mysore and Chamarajnagar,” said R Ashoka, convenor of BJP’s state campaign management committee. He stopped short of calling the roadshow a community-driven agenda but sources in the BJP suggested that hitting the JD(S)’ strongholds and establishing the BJP as a possible alternative was the underlying idea of the yatra. With Yeddyurappa all set to step down as the state president, analysts believe that a Vokkaliga at the helm of affairs, is an apparent possibility. “If Yeddyurappa is going to continue as the leader of opposition then the BJP can’t have a Lingayat as party chief too. It has to possibly be a Vokkaliga. One Lingayat and one Vokkaliga leader at the helm had been the old Janata party’s formula,” said Prof Narendar Pani, political analyst and researcher. With the support of a mass Vokkaliga leader, the BJP is also hoping to make its presence felt better in districts of South Karnataka, where JD(S) and Congress have been conventional rivals. “Grassroot-level workers of the JD(S) as well as the Congress are angry over being forced to work together. The BJP making in-roads into the belt will not provide an alternative just to the voters, but also to the workers and leaders,” a BJP party leader said. Ashoka’s fight to emerge as a mass Vokkaliga leader is not limited within the party. With the rise of the likes of D K Shivakumar in the Congress, BJP has the need to project a community leader who can help the party retain its Vokkaliga vote share. “If they (BJP) want a breakthrough in the Vokkaliga heartland, they need a Vokkaliga leader. It has to be Ashoka since other leaders are too limited,” Prof Pani noted.